Many patients seek complementary or alternative medications for psoriasis. One interesting natural ingredient is indigo naturalis, which has been used in traditional Chinese medicine for hundreds of years. Indigo naturalis is derived from plants such as Baphicacanthus cusia; this is the same plant that gives rise to indigo dyes. The active element is thought to be indirubin. 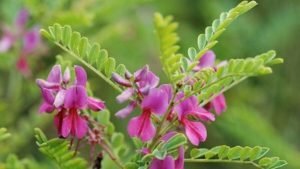 Indigo Naturalis has been shown to have anti-inflammatory properties, as well as antiviral, antimicrobial and antitumor effects. Oral administration has been linked to gastrointestinal and liver damage, but topical administration is thought to be safe. In the treatment of psoriasis, several small randomized controlled clinical trials have demonstrated efficacy in reducing the degree of plaque psoriasis. It has also been used in scalp and nail psoriasis with success. However, it should be noted that the dark-blue pigment can stain the skin and clothing, which may deter long-term use. Since Indigo Naturalis is not FDA-approved for any medical use, finding a reliable quality supply might be difficult. It cannot be known if the formulations purporting to be Indigo Naturalis are truly so. Chinese herb pharmacies might have Indigo Naturalis available, under the name qing dai.